It's a dance many of us have experienced in the grocery store: You grab a package of cookies, weigh the consequences of eating them, hesitantly put them back on the shelf and slowly walk away. Yet you still stare longingly at those cookies, thinking about a snack relationship that could have been. The ritual may now be video-recorded for quality assurance, thanks to a new Mondelez International program called Smart Shelf. The program uses Kinect for Windows, a Microsoft program available for other developers to use its motion-tracking technology. Mondelez is using it to track shoppers as they look at various Mondelez-associated brands, such as Triscuit, Ritz and Oreo. "Our goal is to understand how shoppers see, scan, spot, show interest and select products from the shelf in the store," said a spokeswoman for Mondelez. "We can also engage and influence the purchase decision by delivering a targeted shopper experience. For example, we can deliver audio or play a video based on demographics, distance and even the time of the day." Mondelez isn't the first company to experiment with targeted advertising. The EyeSee Mannequin, released by Almax last year, used both cameras and microphones to track how people behaved in department stores. 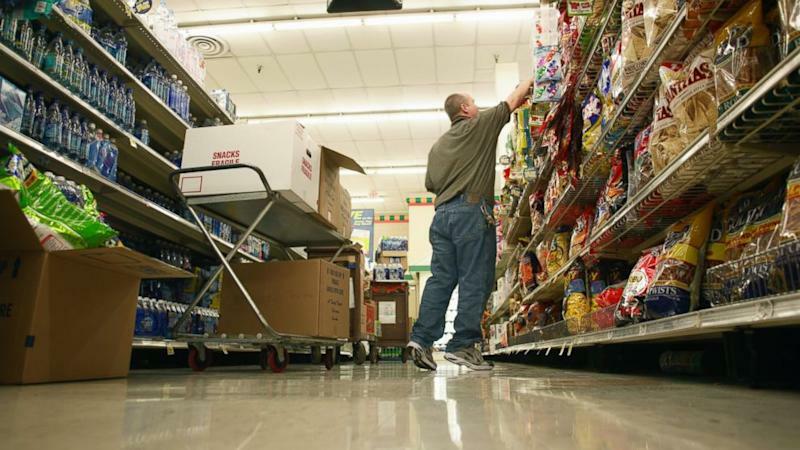 They were also capable of sending data to department stores and retail brands, similar to how Smart Shelf is capable of sending data back to Mondelez. Richard Buino, another spokesman for Mondelez, said that a customer's privacy is a big concern for the company, and that Smart Shelf would not infringe upon it. "The technology looks at facial features to determine gender and approximate age, but it doesn't save the images," he told ABC News. However, a Microsoft spokeswoman said that facial recognition code is not provided to companies as part of Kinect for Windows. Lee Tien, an attorney with the Electronic Frontier Foundation, said that Mondelez really needs to evaluate whether this type of commercial surveillance is worthwhile for its business. "What need do they think they're filling?" he said. "You have to do a whole lot to overcome this presumption that store tracking is acceptable. Good luck on that." If the Smart Shelf pilot test works, though, supermarkets will be the next in a long line of other objects to join the "Internet of Things." Developers are turning nearly everything into a mini computer, including tea kettles and diapers. Maybe you could stop your excessive snack habit by eating junk food with the Hapifork? At least it will tell you that you're eating too much, too quickly.